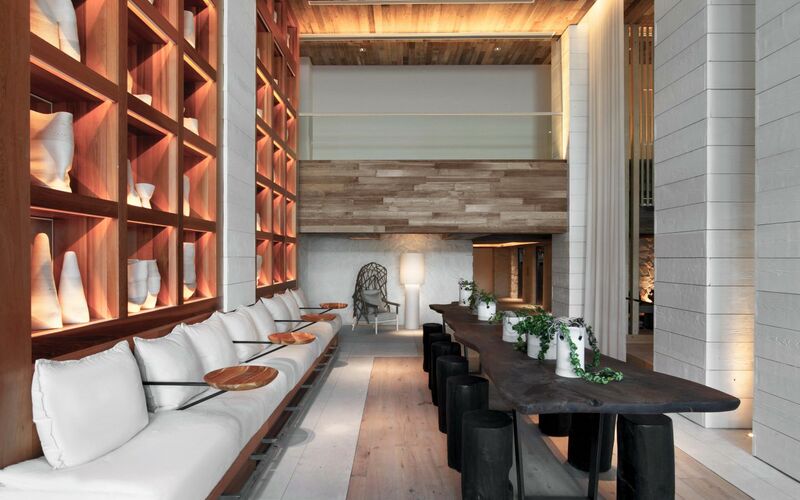 1 Hotel brings a stylish modern-meets-rustic aesthetic to Collins Avenue. 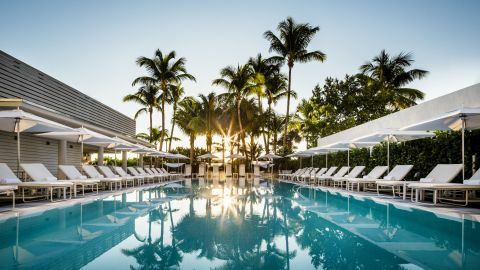 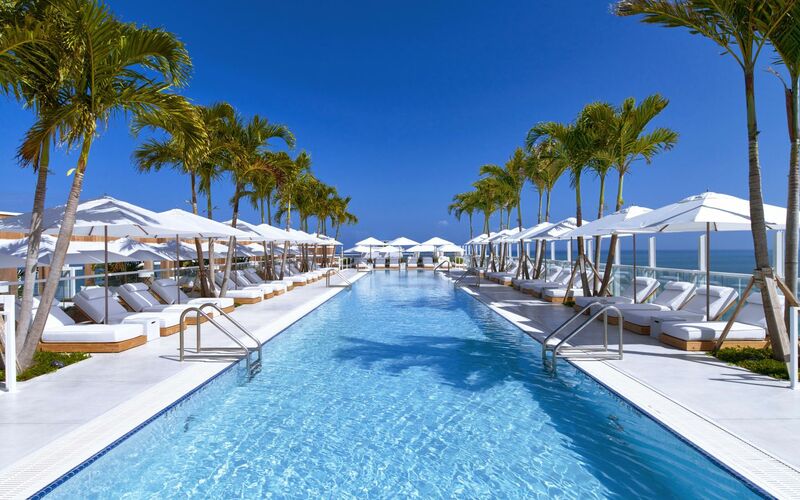 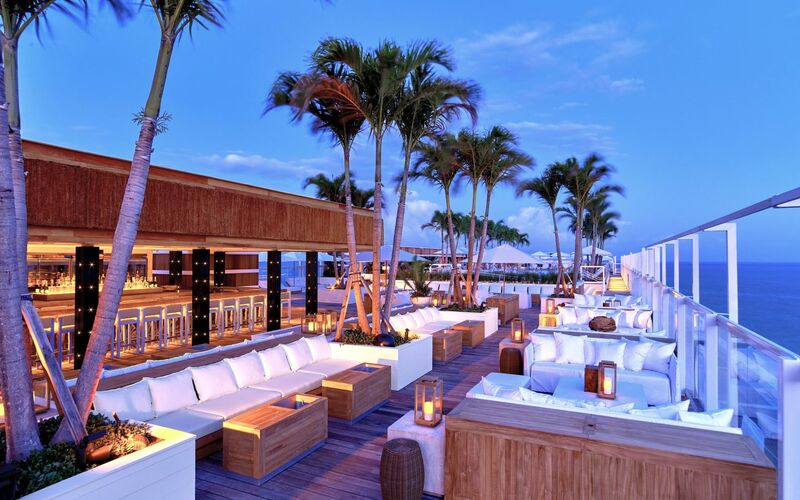 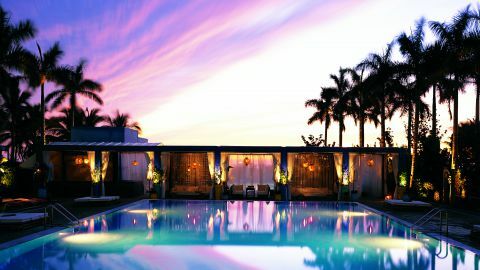 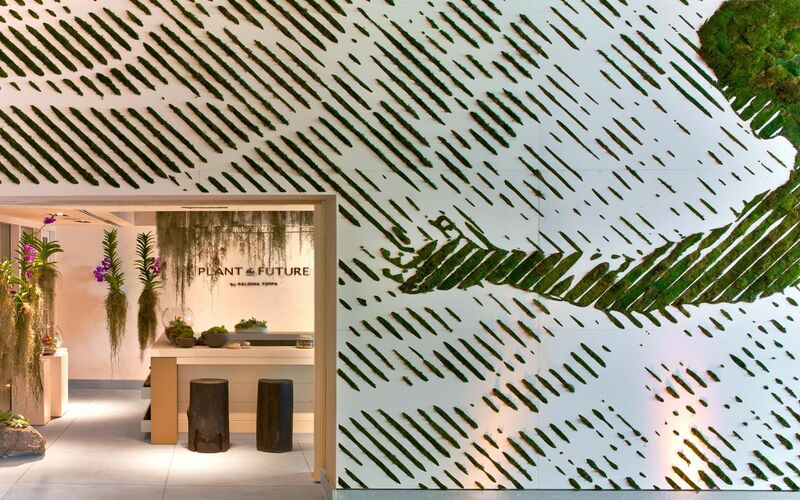 At 1 Hotel South Beach on Miami’s famed Collins Avenue, the brand’s eco-friendly model is veiled in a decidedly chic manner—and the result is anything but granola (spare the farm stand in the lobby). 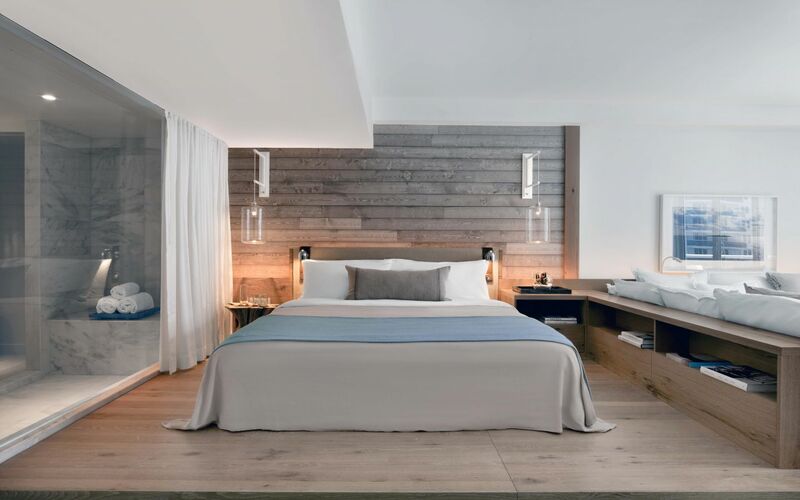 Design studio Meyer Davis paired fresh, 100% organic linens in each of the 426 spacious rooms (700 feet on average) with wood paneled walls, sourced from Alaska, to create a stylish modern-meets-rustic aesthetic. 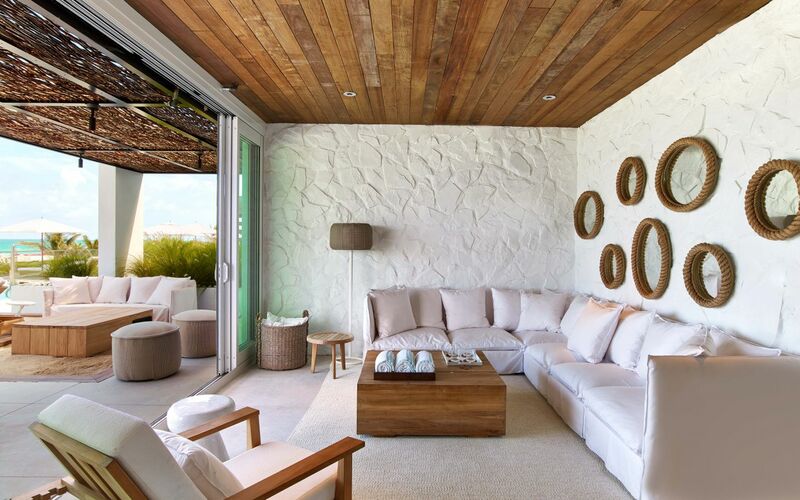 Better still, certain pieces of the clean-lined furniture are made from fallen trees in South American rainforests. 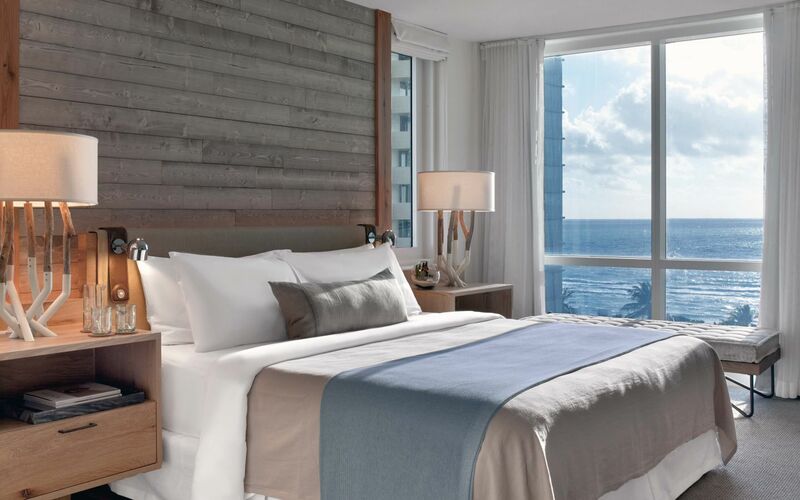 The commitment to green principles can be seen all the way down to the details: Triple-Clear water filters replace minibar plastic bottles; notes are jotted on bedside chalkboards rather than on a paper pad; cushy Keetsa mattresses are filled with a hemp blend. 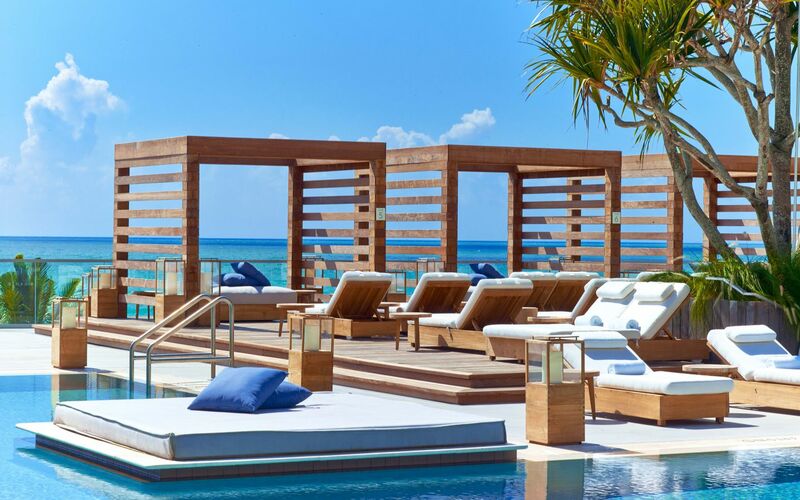 To literally top it all off, the 17-story building is the city's only oceanfront hotel with a rooftop pool, which is just one of four pools where guests can lounge in reclaimed wood cabanas. 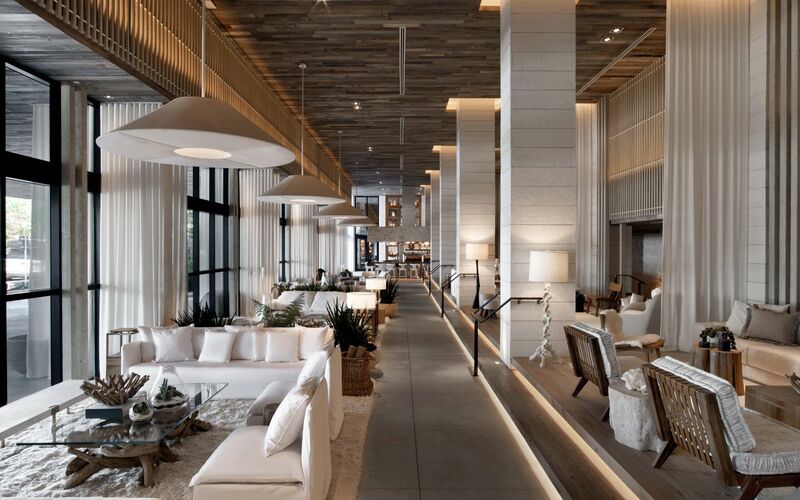 It is also here that chef Tom Colicchio, known for his farm-to-table prowess, made his Miami debut at the helm of the property’s three restaurants. 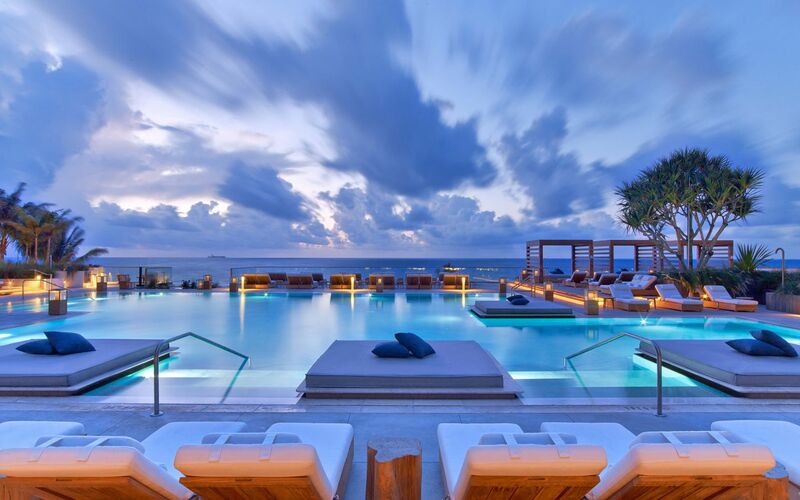 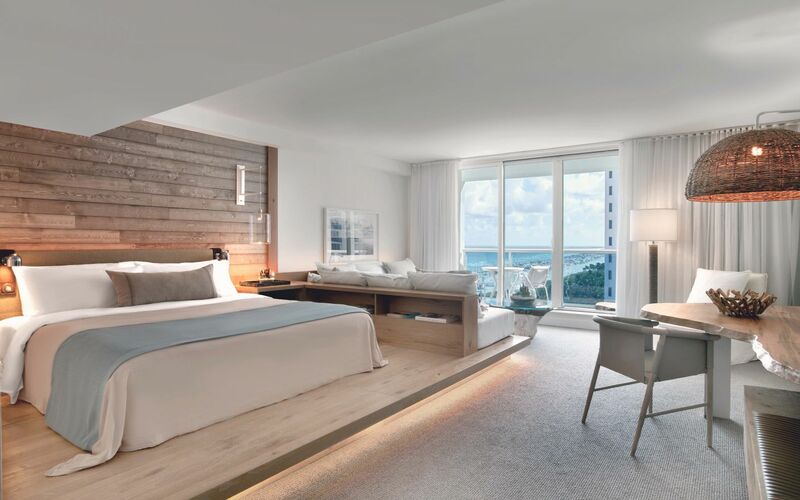 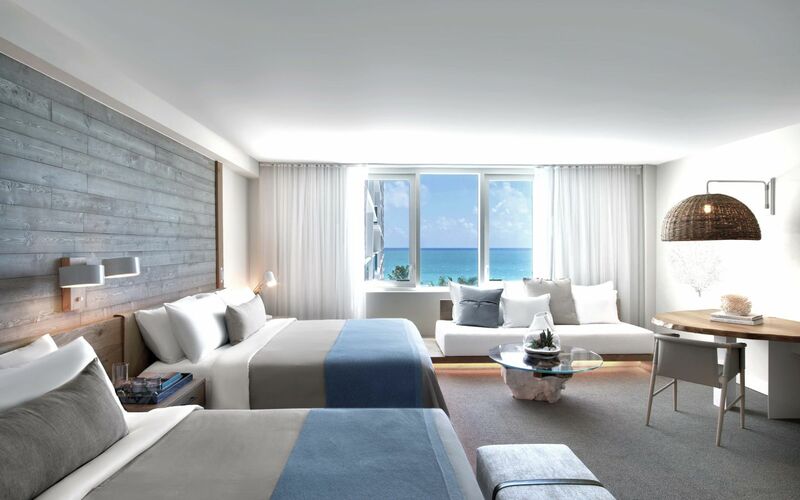 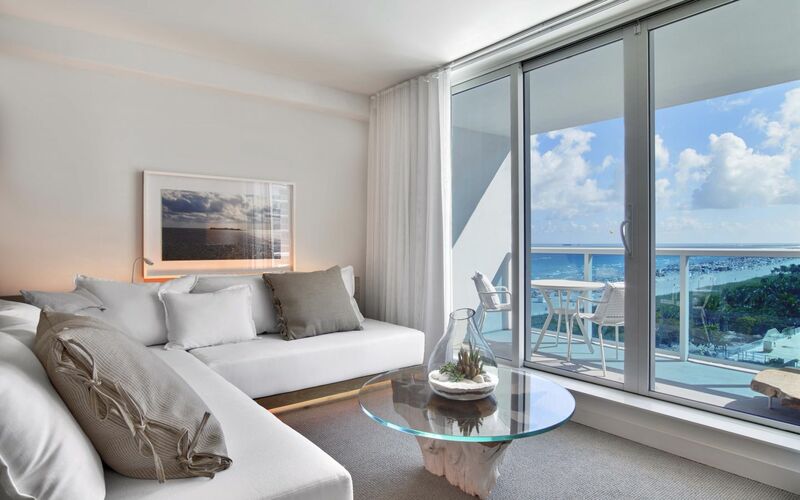 With South Beach as its premiere property, 1 Hotels has set the standard for the seamless intersection of forward-thinking style and eco-friendly design.